A Macro Calculator is an important tool when preparing for the Keto diet. For instance, it sets the ground rules for moving forward and answers one of the most frequently asked questions, “How many carbs can I eat on a keto diet?”. Since I started sharing the Keto diet I’ve had several friends who are intrigued with the diet and want to give it a try. Unfortunately, the diet may be confusing when you are first starting out, so it’s a good idea to know where to begin. 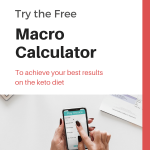 The macro calculator is a good place to start, because it takes the guess work out of how many macros (carbs, fat, and protein) you should be eating. TDEE – Total Daily Energy Expenditure (a fancy way of saying how many calories you need everyday). This step is self-explanatory. Fill in the pertinent information and when you are finished, click the Calculate your TDEE. 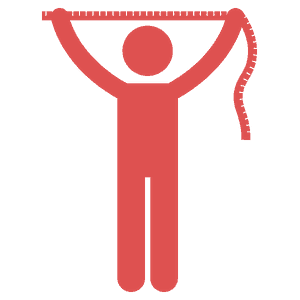 The macro calculator will calculate the total daily calories needed to maintain your current body weight. Tip – When I fill out my activity or exercise level, if i’m in doubt about what to put, I’ll usually choose the lesser option. In this case it would be sedentary. Because, even though I might wish I exercised more and hope I have a higher activity level, it doesn’t make it so. I try to keep my fantasies under control. Here is where you choose the goals you have for the Keto Diet and similarly, how quickly you’d like to achieve those goals. You can select either Fat Loss, Maintain, or Bulking (if you are looking to gain weight). Tip – The calorie deficit’s are listed in percentages. Hence, you can choose anywhere from a 15 to 25% calorie deficit, depending on your fat loss goals. The suggested deficit on the macro calculator is 15%, however, choose what you feel works best for you. 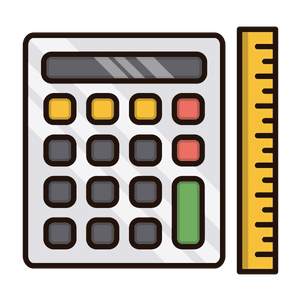 The macro calculator can be used for a variety of diets. However, since we are calculating for the keto diet choose Ketogenic/Atkins. Here is where you will select your desired macros percentages for fat, protein and carbs. Once you have chosen your macro percentages, click calculate. Tip – The Ketogenic/Atkins recommendation is a ratio of 65% fats, 5% carbs, and 30% proteins. These ratio’s can be manually changed depending on your particular goals. You simply put in to the macros calculator the ratio’s you prefer. The general recommendation for the keto diet is somewhere between 65-75% fats, 5-10% carbs, and 20-30% proteins. Step 4 is where your results are shown. 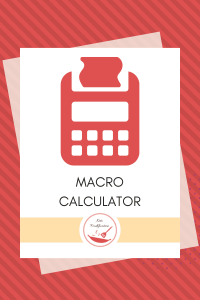 Here the macro calculator will divide your macros for individual meals. Tip – It’s very important to understand that it’s not strictly necessary for you to divide your macros in perfect proportions for each meal. Similarly, getting too stressed out about perfection is a huge waste of time. Use your defined macros as a general guideline. The beauty of a keto diet is your weight will come off naturally. Likewise, don’t be surprised if you lose weight in starts and stops because this is natural. Your body is always attempting to come into balance. Be patient, trust the process and enjoy getting healthy. Consequently, you will reach your goals in time. Okay, you have your macros from the macro calculator. Now what? First, I suggest you start with the Keto Diet Beginner’s Guide. In the guide you’ll find basic, easy to understand info with a great overview of what a Keto diet is and how it works. Second, I’ve put together a Keto Diet Starters Kit. In it you will find several valuable resources to help with your preparation and planning. The best part is the starter kit is absolutely free. Just sign up for our weekly newsletter and I’ll send it to you instantly for free! What Will I Find in the Keto Diet Starter Kit? So, why wait? Get your keto diet starter kit today! When I first started out on the keto diet it was important to me to know how I was doing and if I was in Ketosis. That is the whole point of the ketogenic diet, to burn fat instead of carbs, right? I was all in, so I wanted to get products I could trust and that wouldn’t cost me a ridiculous amount of money. These are two of the products I found most useful.